In this letter Martha Berry explains her convictions on donation policies, in hopes that Miriam Little Simons will adjust her method of donation accordingly. 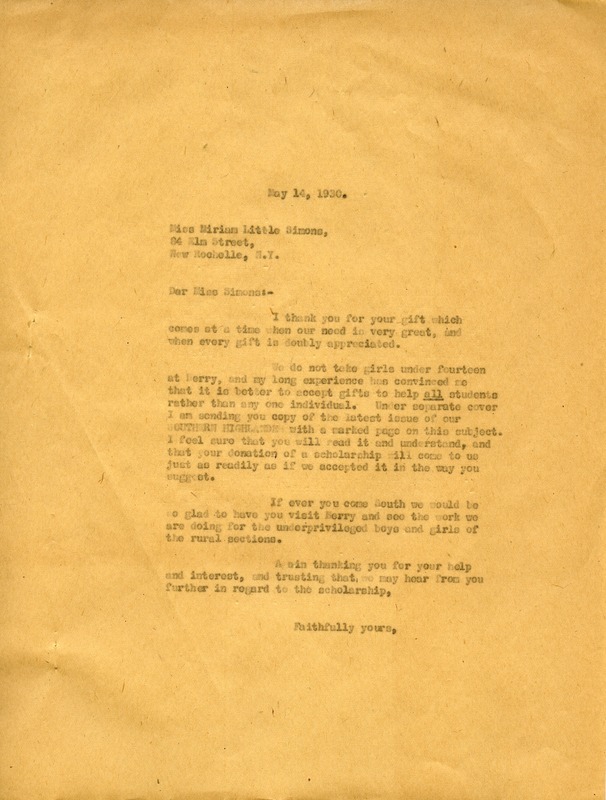 Martha Berry, “Letter to Miriam Little Simons from Martha Berry.” Martha Berry Digital Archive. Eds. Schlitz, Stephanie A., Jordan Brannen, Meg Ratliff, Olivia Mund, et al. Mount Berry: Berry College, 2014. accessed April 21, 2019, https://mbda.berry.edu/items/show/13898.